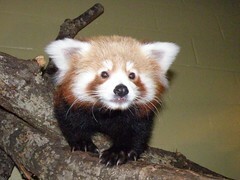 Your Daily Cute: Baby Red Panda - Cute Picture! Baby Red Panda - Cute Picture! Awww! Just look at his little face.